Please note: item comes bagged, not in Playmobil blue boxes. It's a mountain retreat in a box! 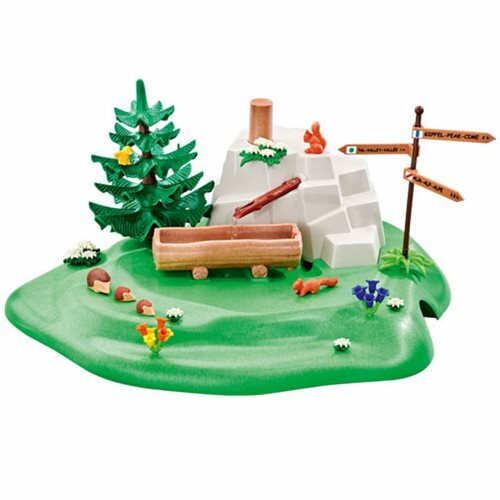 The Mountain Spring includes a trough of water, squirrels, hedgehogs, birds, a sign, and even a big tree next to part of a mountain. There's a lot to like here, allowing you to display your favorite critters or play with them! A big green base has plenty of room for your favorite figures (not included), so don't miss this awesome landscape! Ages 4 and up.